Vichai Srivaddhanaprabha will leave behind his legacy at the King Power Stadium following the darkest day in the club's history. A man who brought joy, excitement and the belief that anything is possible to so many people has devastatingly passed away. 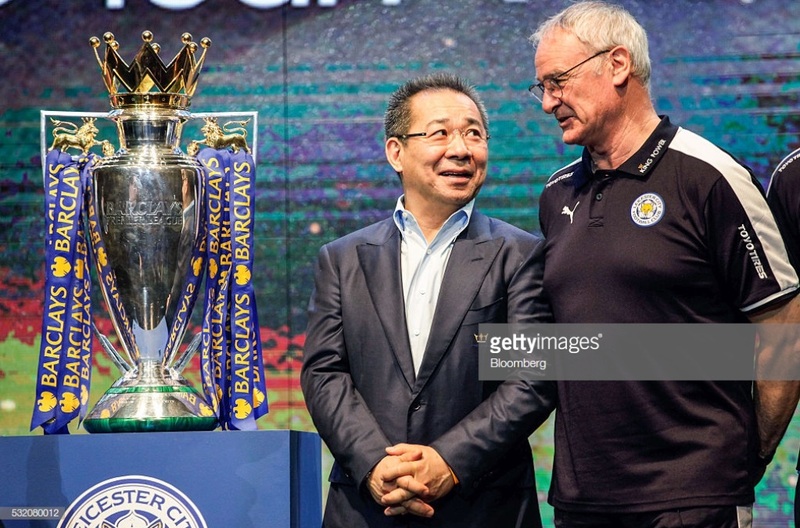 Vichai Srivaddhanaprabha was someone known for his incredible generosity, passion and love for Leicester, not just as a football club but also as a city and as a community. He was the mastermind behind one of the greatest sporting miracles of all-time when the Foxes somehow defied the odds and lifted the Premier League title but, at the same time, he was so much more. Behind the infectious smile was a truly remarkable man who backed the club in its darkest times and promised to bring European football to the King Power Stadium. Even the biggest Leicester fan could not believe such a statement but Vichai found a way to deliver with a team of rejected players and forgotten stars along with a manager who had been backed to fail. But it wasn't just the magic on the pitch that made the city fall in love with the Thai businessman. He invested heavily in local charities with millions of pounds being donated to the Foxes Foundation as well as into the hospitals in the city. It was the day-to-day running of the club that was so very special. Scarves, t-shirts, flags, pies, drinks, doughnuts among other things were given out for free to supporters on a number of occasions which is above and beyond what a chairman is expected to do. The fans and people of Leicester built a relationship with Vichai that is so very rare with foreign owners. When news broke of a Thai takeover in 2010, the reaction from supporters was mixed as similar clubs had seen their identities stolen by such financial decisions. But from day one, he and his son, Aiyawatt, were exemplary in their positions as chairmen, doing everything a football fan could ever dream of from their owners. Wiping the hundreds of millions of pounds worth of debt was the moment when Foxes supporters knew they had struck gold and as a collective, they were in it for the long haul. From there, Leicester City went on a remarkable run: comfortably winning the Championship, miraculously avoiding relegation from the top-flight before winning it and reaching the Champions League quarter-final. Some decisions made by the owners were controversial, the sackings of Nigel Pearson and of course Claudio Ranieri. But, above all, they were made with the best interests of the club at the forefront. Under Claude Puel, the idea of a long-term plan was taking shape with some of the country's best young players in the Leicester squad as well as some of world football's big names. With the deeply saddening news comes the reality that Vichai may never see the stability that he so worked so hard to build up. However, through his son, who is every bit as wonderful as his father, the Foxes journey certainly doesn't end and the legacy will continue in the name of one of the nicest men in football. From the bottom of every Leicester fan's heart, thank you Vichai for everything you have done for the club, the city and the community, you will be greatly missed. Rest in peace.